Beets contain an abundance of essential vitamins and minerals that benefit the body in many ways; reducing inflammation, supporting heart, brain and eye health, as well as promoting proper digestion. 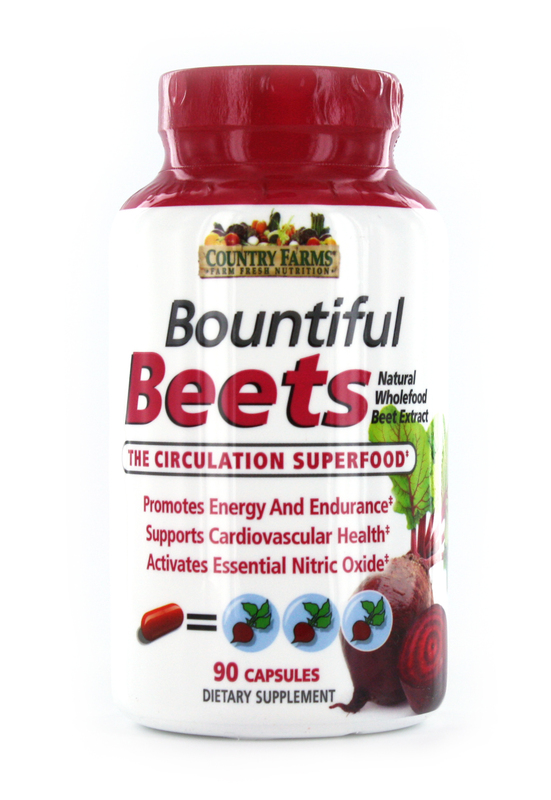 Just one serving of Bountiful Beets is equivalent to three beets and helps boost the body’s natural production of nitric oxide. Nitric oxide is the main compound that regulates the cardiovascular system. Nitric oxide and other nitrates contained in beets help slow the effects of aging, reduce inflammation, boost energy levels, stamina and helps keep the heart healthy. Beets have been shown to help reduce inflammation by preventing the activity of certain enzymes in the body that promote an inflammatory response. While some inflammation is necessary and important for the body - because it helps fight foreign bacteria or viruses- too much inflammation creates issues and discomfort. Beets are a natural way to help detox the body of heavy metals and waste. 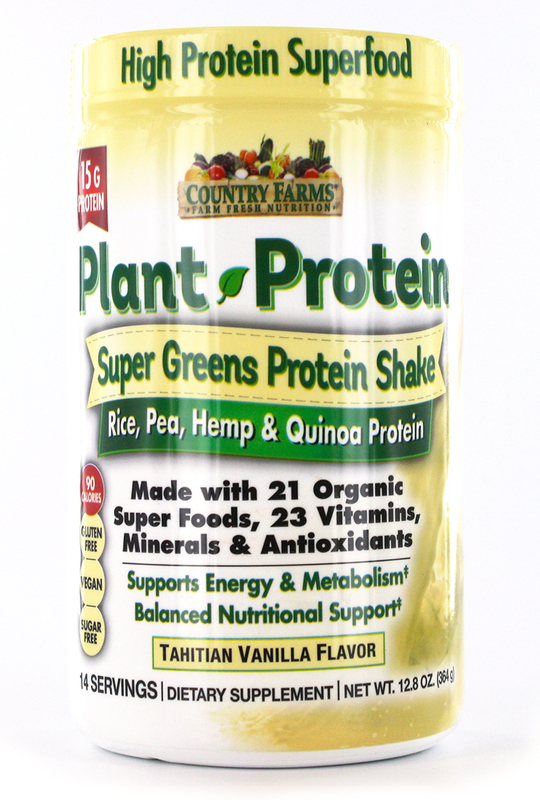 Their compounds known as glutathiones, are essential for detoxification within the liver and other digestive organs. Beets are a rich source of fiber, helping to clean the digestive tract of waste and toxins while restoring a healthy and regular digestive system. 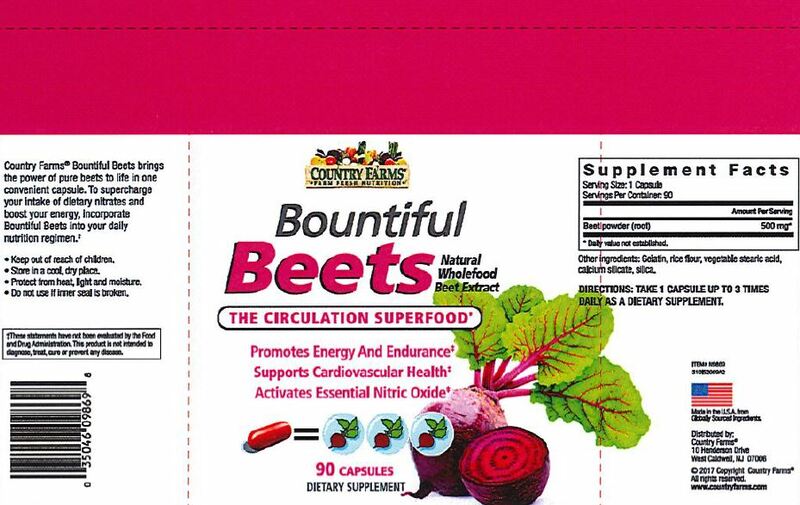 By incorporating Bountiful Beets into a daily regimen it may naturally help boost energy and stamina levels and help maintain regulatory function of organs. 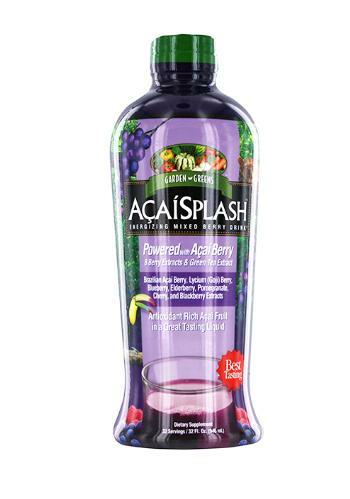 This is a perfect alternative for individuals that want the health benefits of beets, but don’t enjoy the taste of beets.